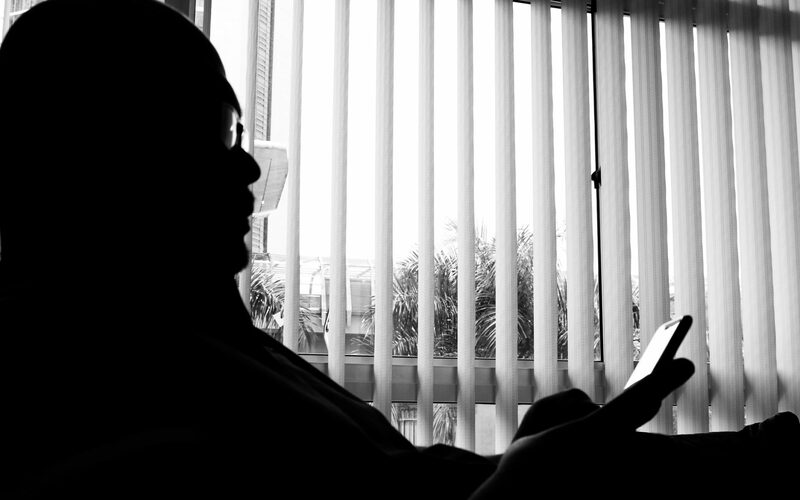 Raja Petra asks if Shahrir Samad is Isa Samad’s real target? 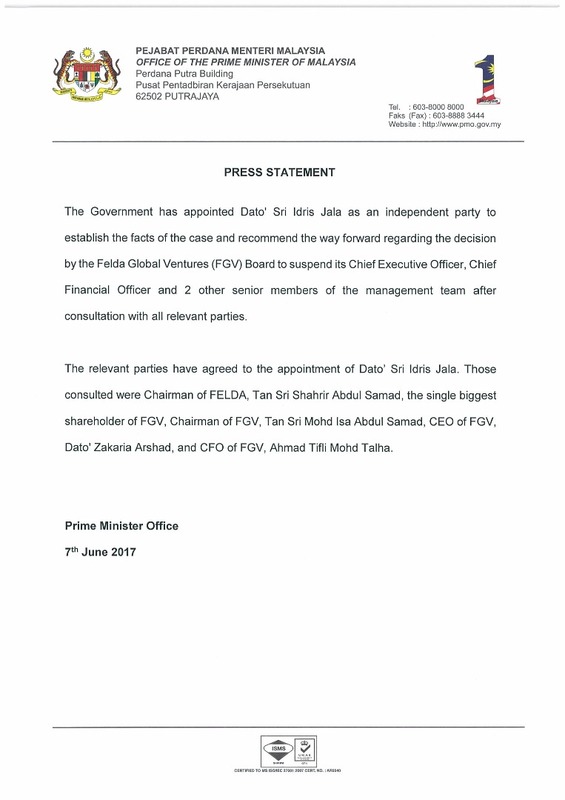 Just a few minutes ago I received a copy of a press statement from the Prime Minister’s Officer stating that Idris Jala has been appointed as an indepedent party to establish the facts and recommend the way forward regarding Felda Global Ventures’s (FGV) latest fiasco. For a statement to have come out from the Prime Minister’s Office shows that the Prime Minister himself is taking interest to protect those whose livelihood depend on FGV and wants to find out the inside story of how FGV has gotten itself in such a mess. Isa Samad was appointed as the Chairman of FELDA and also became the Chairman of FGV. Obviously he is a political appointee meaning that he had been entrusted to ensure that the needs and interests of the voters in FELDA are well taken care of. This did not happen. Instead of becoming something that the settlers could bank on, FELDA was treated badly under Isa’s management, or mismanagement if you must. There was that sturgeon farm initiative that cost FELDA a loss of RM47.6 million through a subsidiary called FELDA Caviartive Sdn Bhd. Another mess that happened under Isa was by FELDA Wellness Corp Sdn Bhd., a loss-making biopharmaceuticals company wholly owned by the statutory body, had been wound up last year. In less than three years of operation, FELDA Wellness accumulated losses of RM154.76 million, and current liabilities of RM154.03 million as at end FY15. The company’s total assets amounted to RM4.34 million. Another outfit called Global Settlers Sdn Bhd (GSSB), which opened a chain of five restaurants and incurred losses of more than RM 8.4 Million, then closed down after 3 years of operations. If that is not bad enough, GSSB paid RM2.29 million to a Pastry Project called Schneeballen without having any supporting documents. In October 2015 that Pastry project was terminated after having spent another RM6.39 million for equipment. I shan’t go into the failed investments by the FELDA Investment Corp. There’s at least half-a-billion Ringgit worth of losses by the FIC. It was only right that the Prime Minister decided enough was enough and put Tan Sri Shahrir Samad at the helm, leaving Isa only as a non-executive Chairman of the FGV. Although a lot of damage had been done by Isa, Shahrir’s appointment was welcomed by settlers and observers alike. Through Shahrir they see a management that would be able to surmount the obstacles Isa had laid. But the latest fiasco of Isa using the Board of FGV to ask the CEO Zakaria Arshad and three others to go on a forced leave has again shaken the trust of the people in FGV. I don’t know how kosher Zakaria is, but a thorough probe by the Malaysian Anti Corruption Commission (MACC) into the affairs of the FGV is a very welcomed move. Isa et al should realise that FGV and FELDA are of public interest and that he was entrusted by Najib Razak to make sure that the settlers’ interests are not foresaken. Instead, Najib and the settlers have had their back stabbed.